Feel the spirit of Raksha Bandhan festival with these beautiful essays on Rakhi contributed by our visitors! You may also exhibit love for your sibling by sending your reflections on Raksha Bandhan festival or a short paragraph on Rakhi. Your Raksha Bandhan essay will be posted on this website with due acknowledgment to you. Rakhi is a sacred thread embellished with sister's love and affection for her brother. 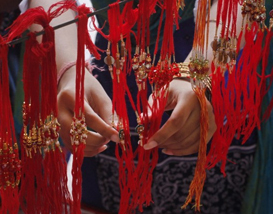 On the day of Raksha Bandhan, sisters tie rakhi on the wrists of their brothers and express their love to them. After receiving the rakhi from a sister, a brother sincerely takes the responsibility of protecting her sister. In Indian tradition, the frangible thread of rakhi is considered even stronger than an iron chain as it strongly binds a brothers and a sisters in the circumference of mutual love and trust. Any Indian festival seems to be incomplete without the traditional Indian festivities, such as gathering, celebrations, exchange of sweets and gifts, lots of noise, singing and dancing. Festivals are the celebration of togetherness as being as a united family and the festival "Raksha Bandhan" is not an exception of this. The love and self actuation towards a novel cause between a brother and his sister is the theme of this great festivals. It is a festival that is mainly celebrated by the people of Northern and Western part of India, but people from other parts also celebrate this festival with same alacrity. Although, the mode of celebration may differ from region to region, but the central theme of this great festival remain same. As far as the traditions and rituals are concerned, sisters prepare the "pooja thali" with diyas, roli, chawal and rakhis. They worship the goddesses, ties rakhis on the wrists of their brother(s), and wishes for their well being. On the other hand, the brothers acknowledge their love with a promise that they will remain by their sisters' side and protect them from every fall and down throughout the life. Brothers also give token gifts to their sisters. From ancient period of time, this festivals has been celebrated in the same manner and tradition. As the lifestyle of people has been changing with passing time, therefore, today, this festival is being celebrated elaborately. This day fosters a undying and divine relationship among the siblings. Far off physical location may sometime bring an abstract feeling among the siblings, and this auspicious day provides a link to bring them together. The joyous meeting, the rare family get- together, the erstwhile feeling of brotherhood and sisterhood call for a massive celebration. The sisters tie a sacred thread of love to their brothers amongst chanting of mantras, put roli and rice on their forehead and pray for their well being. Sisters bestow their brothers with gifts and blessings. Brother also wish them a good life and pledge to take care of them. Brothers give their sisters return gifts. The gift is the acknowledgment of his love for his sister, reminder of their togetherness and a symbol of his pledge. There are several historical evidences, which remind us about the significance of this festival and every time, this festival emphasizes the same values which have been mingled along with the festival. Well that is a kind of an end to the rituals but the celebrations begin after that. For the parents, Raksha bandhan festival is a mean of family reunion. 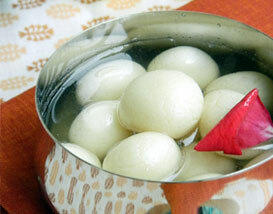 Tasty dishes, wonderful sweets etc, are cooked on this day. Family members exchange gifts with other well wishers and relatives and share their individual experiences of life with one another. For those who are unable to visit one another, rakhi cards, e-rakhis and rakhis through mails become the modes of their communication and sharing of their love. Hand made rakhis and self-made rakhi cards are just a representation of the personal feelings of the siblings. 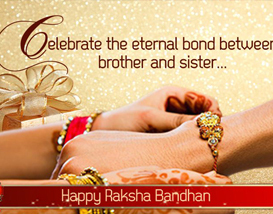 The trivia of Raksha Bandhan is to bring people together just like the true spirit of all other Indian festivals. Raksha Bandhan is a popular festival in India, especially North India. The festival depicts the love of brothers and sisters. On this day sisters tie a thread called 'Rakhi' around her brother's wrist. She prays to God for the safety of her brother and to lead him to good path.The brother in return gives her sweets and blesses her with good wishes. The festival should not be celebrated as a formality but should be celebrated whole heartedly. Raksha Bandhan is not only for meant for siblings, but for protection for any loved one. 'Raksha' means protection and 'bandhan' means bond. Hence the festival does not signify bond between a brother and sister only. Once Indra, the God of Heaven was about to go into battle and was feeling a little apprehensive. When his wife tied a sacred thread to his arm for his protection and assurance all his fears vanished and he was successful in all his endeavors. From then on began the tradition of celebrating Raksha Bandhan. A festival of protection for loved ones. I think people are being led away from the true meanings of some happenings because they follow traditions, instead of finding the true meaning and stems of these traditions. Raksha Bandhan In Mythology And History And What It Is Today The roots of most of the Hindu festivals can be traced to Hindu Mythology. We do hear about why is Holi celebrated or what is the significance of Diwali but hardly anyone knows why Raksha Bandhan is celebrated. 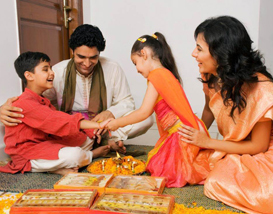 All one knows about it is that it is the festival for the brothers and the sisters when they wish good life to each other and the sister ties rakhi to her brother. Raksha Bandhan is mentioned in our epics as a festival of Gods. It is said that Yamuna, the sister of Yama, the lord of Death used to tie rakhi to his brother on every Shravan Purnima. Indrani tied Rakhi to his brother Lord Indra. Yama was so impressed by the occasion that he declared that who ever got a Rakhi tied from his sister would become immortal. From that day onwards girls tie rakhi to their brothers wishing them a long life and brothers bestow their blessings by promising to take care of the sisters through thick and thin. tena twaam anubadhnaami rakshe maa chala maa chala"
meaning "I am tying a Rakhi on you, like the one on mighty demon king Bali. Be firm, O Rakhi, do not falter." The legend relates that the mighty Demon king Raja Bali was a great devotee of Lord Vishnu. When lord Indra could not counter Bali, he went to Lord Vishnu for help. Vishnu overthrew Bali to the nether world. Lord Vishnu promised King Bali immortality till he would be crowned as Indra and also that he would guard the kingdom of Patala leaving his own abode in Vaikunth. Godess Laxmi, the consort of Lord Vishnu, wished the Lord to be back at Vaikunth. Disguised as a Brahmin woman she went to Bali to seek refuge till her husband returned home after finishing some important task. King Bali obliged. With her came the happiness and wealth. All auspicious things happened. On the Shravan Purnima Goddess tied the sacred thread to Bali and prayed for his well being. Bali was touched by the gesture. He accepted her as her sister and requested her to make a wish. At this She revealed herself and told that it war Narayan himself guarding hid Kindom. King Bali immediately requested the Lord to return to his abode. From that day on, girls tie rakhi to their brothers and seek blessings. Today we relate more to the historical events rather than the mythological tales. The once we heard as parts of our history in schools are the base of the festivities today. The most ancient incident refers to the invasion of Alexander the Great. It is said that Puru was a mighty king. Alexander had to face a great resistance from him. Worried about her husband’s safety, Alexander’s wife seeked audience with King Puru. She requested him to accept her as his sister. Puru obliged her and promised not to harm Alexander. The Rakhi on Puru’s hand is said to be the savior of Alexander. In the medieval times, rakhi meant a call for help. The Rajput kingdoms were being attacked by the Muslim rulers. The Royal ladies solicited help from the fellow Rajput rulers sending them Rakhi. The Rajputs considered it their responsibility to respond to the request and help them. A famous incident relates how the widowed queen of Chittor, Rani Karnawati sent rakhi to Emperor Humayun to help her save the honor of the dependent Ladies. Humayun immediately followed the request and reached there with his troops. He despite allhis efforts reached there late and the royal ladies had already performed the Jauhar. All this signifies that Rakhi was not always an only brother sister festival. It was to fulfill the basic need of protection. It was an un- maligned prayer for good will and protection. It is said that at one time the Sages tied the sacred thread for protection to themselves and their followers. Rabindranath Tagore started Rakhi Utsavas, a congregation signifying the harmonious relationship amongst the community. It was a vow for peaceful existence and commitment to all the members of society. This was Raksha Bandhan’s universal outlook. Why is Rakhi Purnima Important? Rakhi falls in the month of Shravana, the month when the rains are receding, sea is calming down and weather is pleasant. The month is important to the farmers, to the fishermen and to the voyagers and businessmen. And in India all such days and months are a matter of celebration. These celebrations are in other words a kind of thanks giving to the Gods. Full moon day is considered to be an auspicious day and an auspicious day of this holy month is of great importance. The Shravana Purnima is celebrated all over the country in one form or the other. Most commonly it is celebrated asthe Rakhi Purnima or Raksha Bandhan, the festival signifying sisterly love and brotherly affection. The day has significance beyond this, not known to all. The day is called Naryali Purnima in the coastal regions of India. The day is devoted to the Rain God Indra and the Sea God Varuna. The nariyal i.e. coconuts are offered to the Gods to please them and seek their blessings. The offering is made by throwing the coconut in the sea or any other near by water body. It is said that Lord Rama started for Lanka to rescue Sita on this day. He crossed the sea from the bridge made by the Vanar Sena by throwing stones in water. Coconut is considered to be a symbol of three-eyed God Lord Shiva. For the fishermen the fishing season starts now people begin their voyages on this day, assured that the seas have calmed down and it is an auspicious day. For the farmers it is Kajri Purnima. The farmers start the sowing of Wheat on this day and pray for a good crop. The day is very important for the Brahmins. This is called Rishi Tarpan or the Shravani Ceremony. On this day they change their holy thread called the Janeyu or the Yajnopavit amidst the chanting of mantras. The Janeyu represents adherence to vedic culture, observance of Hindu traditions and service to humanity. After the ceremony sweets made of coconut are served. The day is all about raksha or protection, not just for self but for the dear ones, for peaceful existence of the human race. Each ritual that is followed has a significance. The sisters seek love from their brothers, the brothers seek courage and endurance. People worship the Gods of water, the basis of life. 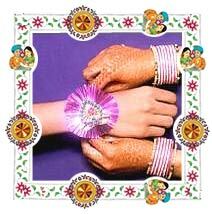 Rakhi has been promoted as a way of harmonious life by many a social workers and philoophers. It is a festival that dictates the values of brotherhood and self-perseverance. 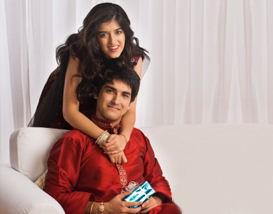 Top 7 Types of Rakhis that are Sure Win a Brother's Heart! Copyright © 2003-2019 www.raksha-bandhan.com. All Rights Reserved.